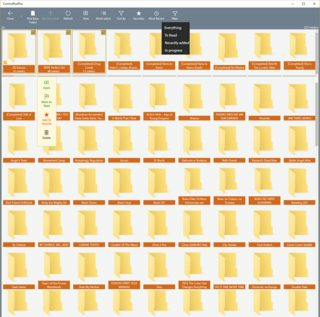 Filters for files & folders. Hide other than filtered items. 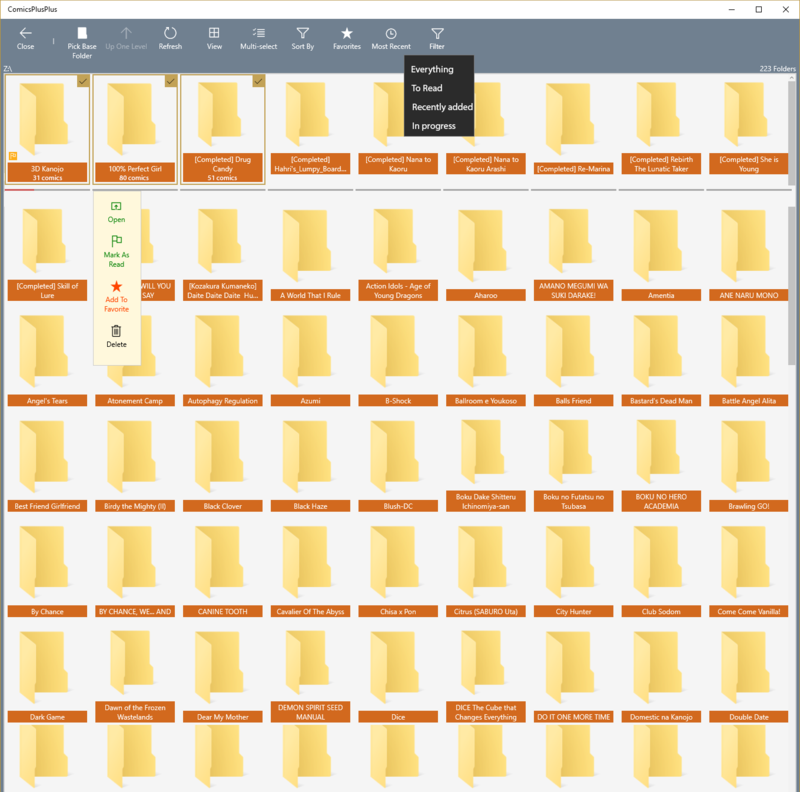 Whenever new file gets added to a hidden folder (all previous files read), then the folder should become visible again and display only that new unread chapter. We will look into hiding files and folders however showing folder progress and number of chapters such will most likely not make it to Comics++. The reason is because such features require scanning and tracking folders, all operations that are expensive to perform, requires a separate database, and should be performed in the background. The biggest problem is to ensure the design is performant, and to do so its basically fighting against UWP. Like I mentioned in other threads if this was native C++ there wouldn't be an issue, but UWP has such unreasonable restrictions on file access its a pain to get around their file access inconveniences. So instead we will be spending our time on much more awesome features that the world has never seen (thanks to our recent usage of OpenCV). Thanks again for continued support and stay tuned!